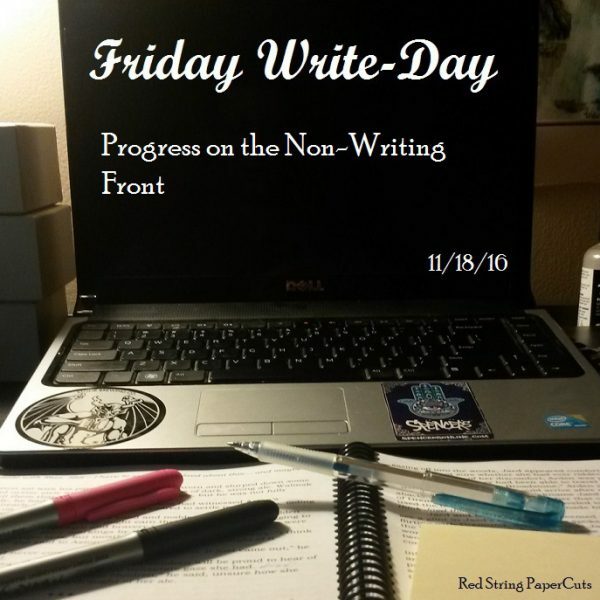 I have not made much progress at all this week… for NaNoWriMo. With less than 10,000 words written through 18 days, I think it’s safe to say I will not be hitting 50,000 words, or probably even 30,000. NaNo 2016 got off to a less-than-stellar start for me. For a variety of reasons, not the least of which was the shock induced by the presidential election, I was not focused on writing my second novel, The Warden of Everfeld: Legacy. Part of me feels like I’m jumping ahead too much, considering my first significant round of revisions looms for part one, The Warden of EVerfeld: Memento. Author’s Note: The Fa’al’Írkesh, or Sacred Trees, of Everfeld are far mightier than any other type of tree in the coniferous forest. They are identified by grey bark and dark blue leaves that feel as tough as leather and are said to never wither, even when separated from their parent tree. According to legend, the Sacred Trees were created by the Life Mother Gó’Dan to protect and watch over Everfeld, helping to maintain balance and harmony in the vast forest.